A warm and cloudy day today. Currently, it's 56˚F. Today, I did 797 words and finished Section 11 of The Tindalos Asset. That leaves three sections to go. Today, I passed the 100-page mark. And tonight, all the country is back on Daylight Savings Time, which I have lived on now for the past sixteen years. Yes, the last time I did the "fall back" thing was 2003. I need all the daylight I can get. 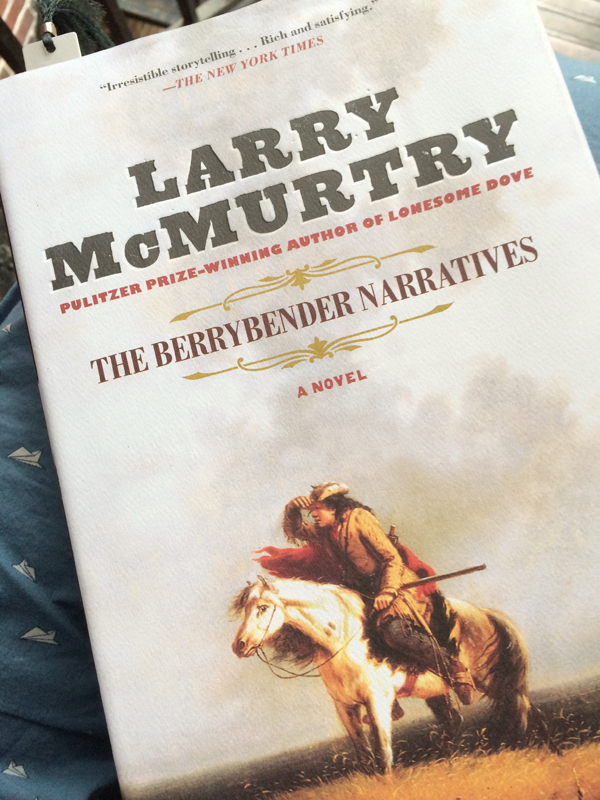 This morning I began reading Larry McMurty's The Wandering Hill, the second volume of the Berrybender Narratives. And for dinner Spooky got us pizza from Davenport's in Mountain Brook, which is likely the best pizza in Birmingham. Seriously. I am amazed, reading old entries, how I used to write entries that went on and on and on at great length about...well, often about not much of anything. I could find a thousand words to say about nothing. I have no idea how or why I ever did that. It felt somehow important, I think. Like, the blog is free advertising, and I was determined to wrest every drop from it I could. These days, I just don't have all those words or all that energy to spare. And that's why entries are so much shorter now.